Nothing says "I Relish You" better than a gift of the most incredible relishes. These bestselling customer favorites are full of flavor, made with the finest ingredients, and guaranteed to make someone smile. 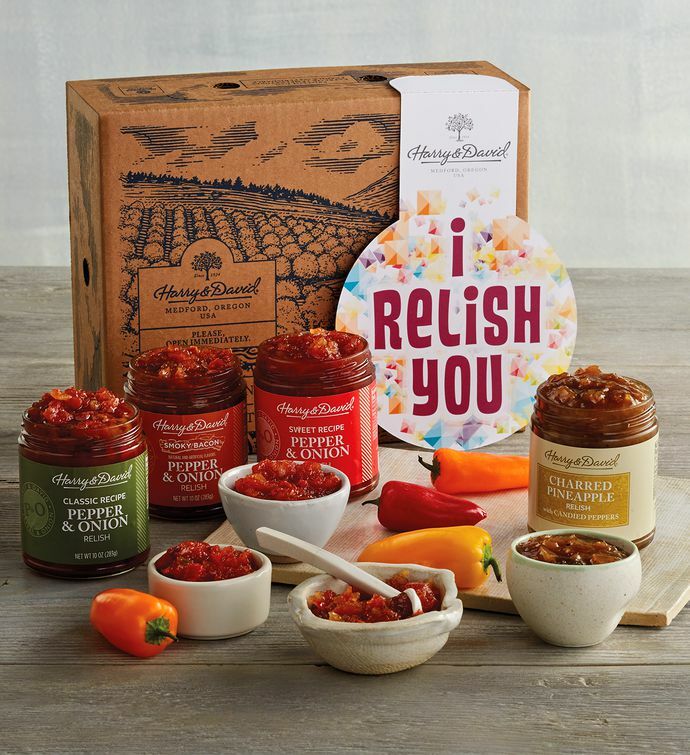 Arriving in a classy gift box, this assortment offers a variety of delicious condiments: our classic pepper and onion relish, sweet pepper relish, our new smoky bacon pepper and onion relish, and charred pineapple relish. This gift was made to be relished.